GET LISTED AT THE TOP OF GOOGLE AND OTHER SEARCH ENGINES!! 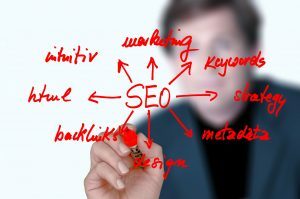 Make sure your site is designed with Search Engine Optimization in mind. We work closely with every client to determine the niche and what is the best internet marketing sources and the best way to optimize your website for the search engines. When we design and build your website we keep all of this in mind and your website will be built completely search engine friendly! We do not stop right there though, once your website is fully up and running and is optimized for the search engines you still need to have regular internet marketing done to stay on top. technology changes quickly and so does the search engines algorithms! If you do not stay up to date you will soon see your site plummeting down in the search listings. If you want to really succeed online then you need to have the top ranking positions.